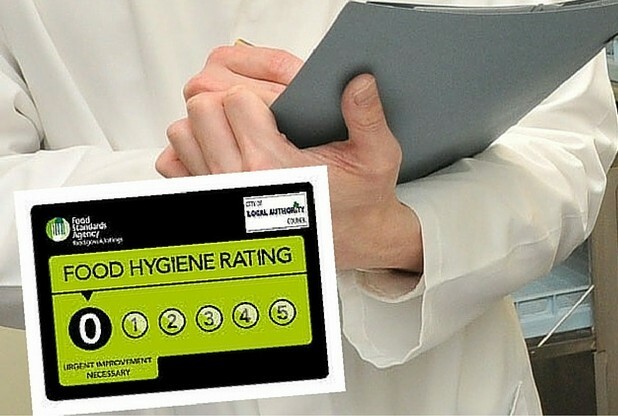 Home > Regulations & Legislation > What Happens When a Food Retailer is Scored Zero for Hygiene? What Happens When a Food Retailer is Scored Zero for Hygiene? Even if health inspectors impose a hygiene score of zero, food retailers –from shops to restaurants, schools and takeaways – can still sell food to the British public. We’ve written before about what the UK’s Food Hygiene Rating Scheme (FHRS) is designed to achieve, but what happens when a food provider gets the lowest possible score? There are three areas checked by inspectors when working out a hygiene score, which relate to the handling, storage, preparation and re-heating of the food; the cleanliness and integrity of the building; and the methods used by managers to ensure hygiene standards are met. In order to keep people informed, media engagement is crucial. The FHRS scheme is big in Wales at the moment, where new legislation has recently passed requiring food takeaways to display hygiene ratings on menu leaflets. Indeed, Wales Online has recently picked up on the trend, producing a list of establishments which are still serving food to the public despite having zero-ratings. One might wonder why more isn’t being done by authorities to protect consumers from unhygienic food. After all, most people would probably find a score of zero sufficient to disqualify an establishment from their future custom. Essentially, hygiene ratings are only one measure implemented by authorities to keep people safe. Alongside FHRS, authorities have more binding measures at their disposal, such as the issuance of food hygiene improvement notices. Indeed, it’s these which vendors have to responds to in order to stay open for business. Once authorities have issued them, vendors have a limited amount of time before the specified problems have to be rectified. If they don’t, they can suffer fines, closures and even jail time. That’s why establishments can stay open, even with the lowest rating: the zero-to-five certificates are mainly there for public information. Although it is not a legal requirement for food sellers in England to display these ratings in their buildings, they do have to do so in Wales and Northern Ireland. This helps customers get a better idea of what they’re buying. Still, customers across the UK do have the right to check the score online, here, and to ask for the rating when purchasing food over the phone.